With Matthew Rossman after an evening of Tiger beer and some clams, all for $7.75, on Matthew! A 48-year-old Canadian, Matthew has been in Vietnam for eight years, is married to a Vietnamese engineer and has a six-year-old daughter. He teaches English and manages two English learning centers. Matthew plans on spending the rest of his life in Vietnam, with his retirement years in Vũng Tàu, a great plan, one I'd follow myself. Although Matthew had never been to District 6 and was not used to such a dumpy joint as Quán 77, he was perfectly comfortable. 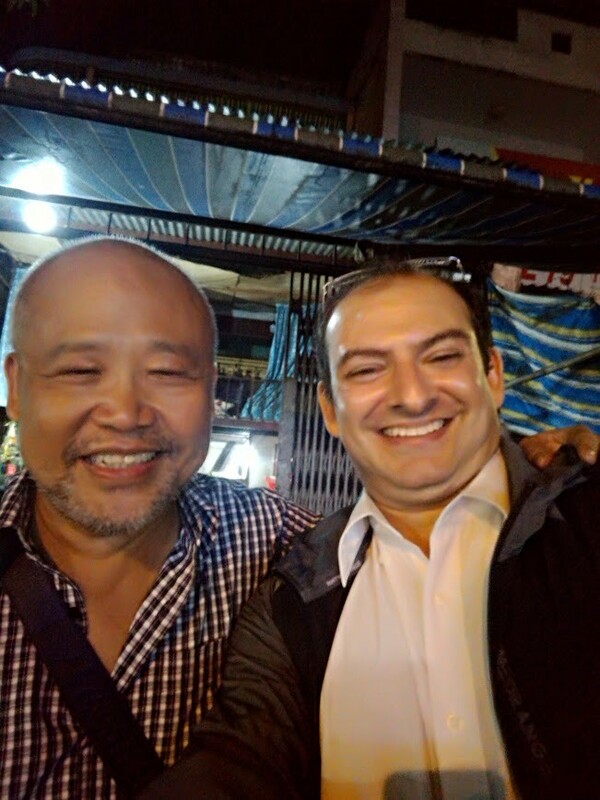 He lives in Thảo Điền, "where just about every other person you see on the streets is foreign." I have been to Thảo Điền just once. I must return for a much closer look.